I was hesitant to pick this one up since dystopians aren't usually my thing, but I was interested in the dynamic between a bounty hunter and his prey, and how the summary seemed to promise something different, something that would have me falling head over heels for the dystopian genre. Having read it, I'm so glad my spidey senses tingled. 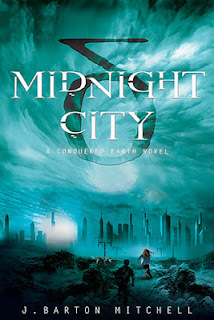 With its engaging writing style, depth-defying world and lovable characters, Midnight City is a distinctive addition to the young adult dystopian genre, and a new favorite of mine. Midnight City was immediately engaging. Mitchell has a masterful command of plot structure, evidenced by the way he starts with external threats that bind the characters together, and then building to a threat that affects them all. And they were threats that mattered to the characters, that affected them directly. Every chapter had a conflict that made sense; nothing felt haphazardly thrown together. This kind of cohesion, in addition to breathtaking action scenes, kept me glued to the pages from start to finish. The book came alive like a movie in my head. I could envision, with near perfect clarity, how these characters moved, thought, and interacted. What's more, every bond they formed made sense. The progression of their relationships weren't botched by a rush to get them to where the author wanted them. I could fully understand their goals, how they were shaped by their personalities, and how they would come to align. I cheered for them 100%. My enjoyment of the story was only heightened by Mitchell's edgy writing style. Though a little rusty in some areas, it complimented the story perfectly. I liked how it sporadically alternated between points of view from chapter to chapter, giving the story a depth that otherwise would've been missed. That was one of the best parts: the depth of the world. I liked how Mitchell built in the history naturally, without having to resort to dedicating a chapter to explaining how the world got to the way it was. I loved the detail that went into the Assembly, and into how the world had changed, without bogging down the story or making it too incomprehensible. It was easy to understand, and to admire. 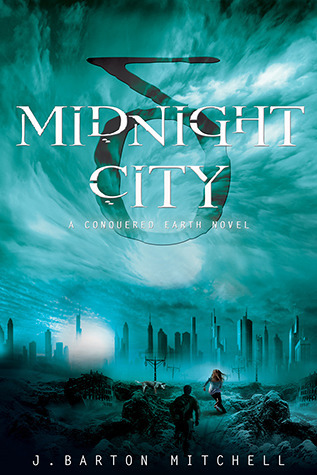 Midnight City was an incredible dystopian, one that I would love to return to again. I'm so excited for the sequel!